I was so excited to be invited to share a 5 Things post on the Shimelle Blog, and it went up last Friday! Shimelle's new collection is so awesome, and it was fun creating 5 layouts and ended up with totally different looks for each one. 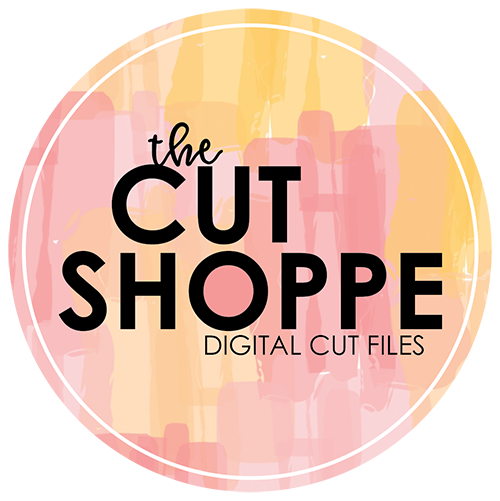 My post was 5 Things with Die Cuts, and I used several cut files from The Cut Shoppe and paired them with all of the awesome Shimelle goodies! 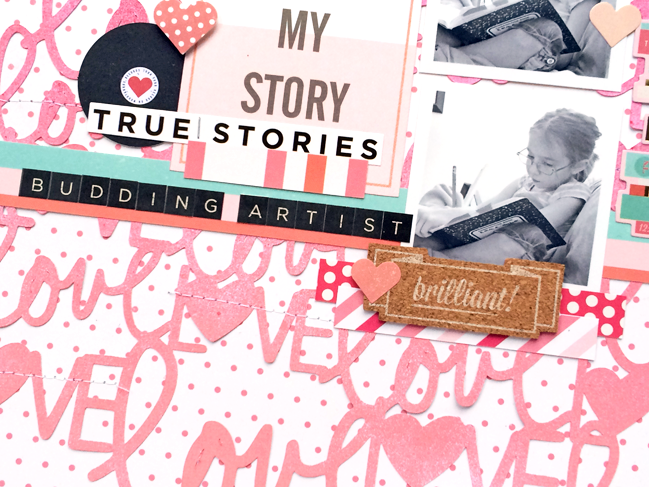 So today, I wanted to stop in and share two of the layouts, that were up on Shimelle's Blog last week! Sometimes when I’m taking a photo, I like to have my subject off center and include White space in the picture. 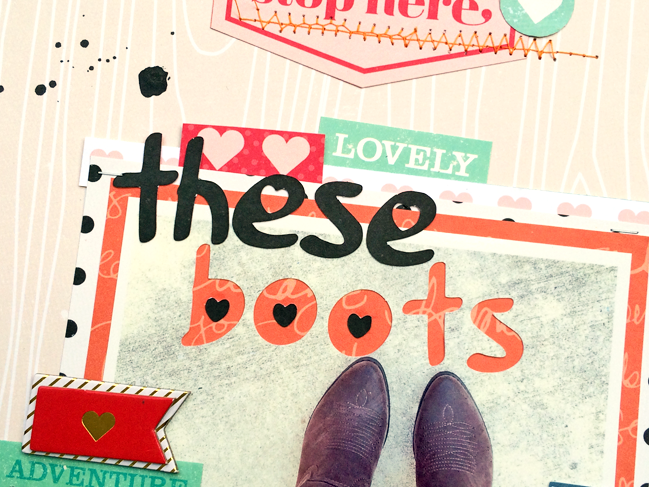 And that White space is perfect for die cutting on your photo! I printed a large photo at 5×5 inches. I placed the photo on my Silhouette mat and added the title letters in Silhouette Studio. 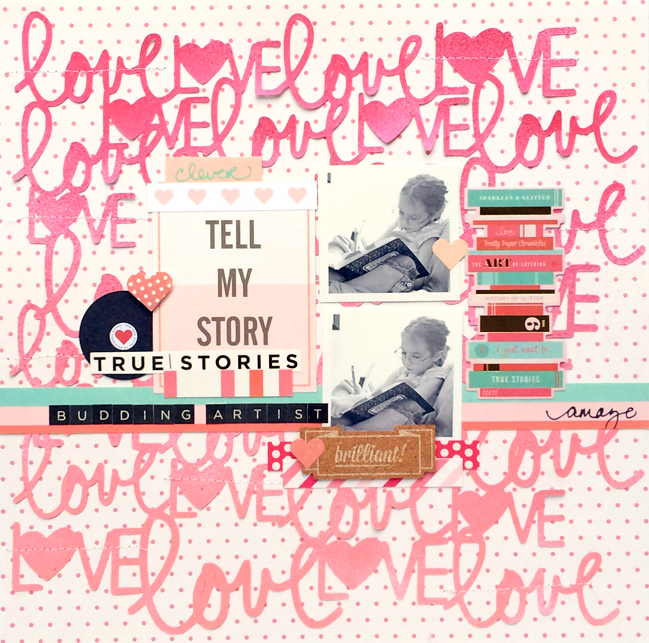 Once the word was cut from the photo, I backed it with the Earheart patterned paper. Mixing spray mists or Gelatos with die cuts, can create a fun and unique look. 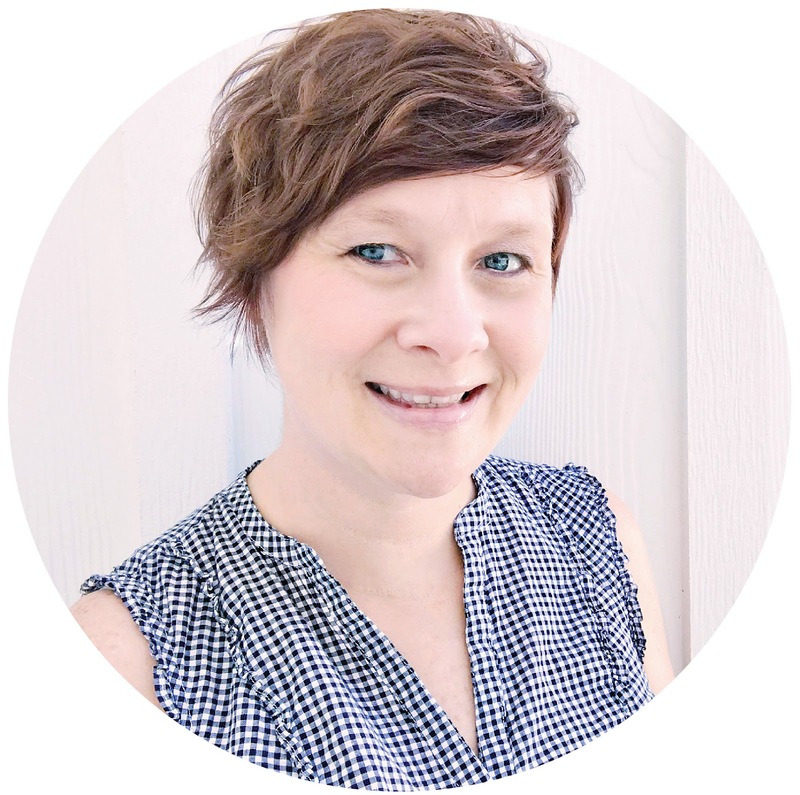 I wanted to create an Ombre effect on the Love background cut file, using several spray mist colors. I chose varying shades of Red and Pink and started at the bottom of my die cut background, spraying the lightest color first and working my way up to the darker spray mist. And with all of the spray mist colors out there, it’s easy to choose the ones that coordinate perfectly with the colors in the Shimelle collection! 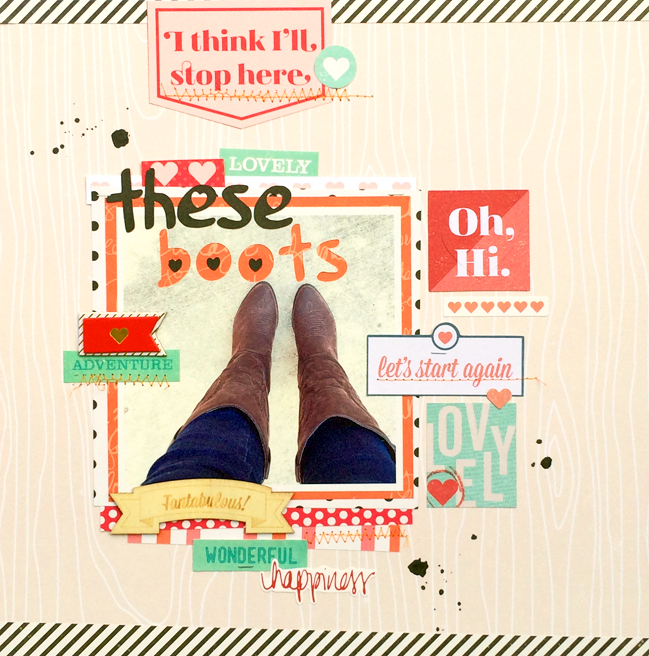 I'll be sharing some of my other layouts from the Shimelle post soon, so make sure you check them out! Thanks for stopping by!